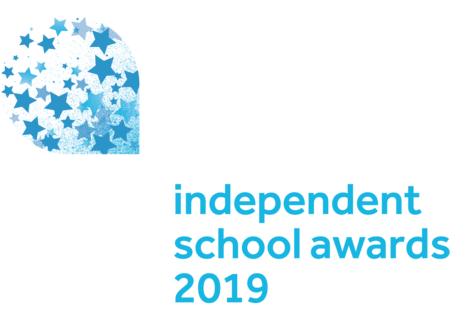 The winners of the 2019 Tes Independent School Awards were announced on Friday 1 February 2019 at the Grosvenor House Hotel, Park Lane, London. The winners e-book is available here. Over the past decade Aberdour School has transformed its approach to education and pastoral care by equipping children with computing skills for the future. The school has invested millions in re-designing its curriculum and learning practices, and building state-of-the-art premises that embed technology in all aspects of school life. Children use technology for everyday activities from the time they enter nursery, where classrooms are equipped with smart tables. All the way through to Year 8 pupils work with tablets, STEAM, Virtual Reality (VR) and Augmented Reality, while teachers bring subjects to life with wall-length 75-inch screens. Dedicated staff also use technology to monitor children’s progress and create personalised timetables suited to their needs. Aberdour has spent £2 million creating a dedicated Innovation Centre including a Maths Studio, STEAM Studio with robotics and cutting-edge computing equipment and programming systems. It also features “The Factory” – a multi-technology production centre where almost anything can be designed and made. Elsewhere the Global Languages Studio transports students around the world using green screens, powerful sound systems and VR. Technology has also transformed the creative arts, allowing children to work with images and photos - and even create their own films and documentaries for Aberdour TV. Lead judge Drew Buddie said: "I was impressed with the commitment Aberdour has shown to placing STEM subjects at the heart of the school by their creation of an Innovation Centre that sets a benchmark for other schools to follow. Founded in 1894 with just two pupils, Cottesmore School has been a “home-from-home” for young people for more than a century. Described by one schools guide as a “fabulously old-fashioned country prep,” the judges said the school epitomises many of the best qualities of British boarding. New starters are made to feel welcome through a “buddy” system to support their transition into boarding. Long-standing traditions form an integral element of school life, from ‘Cottesmore’s got talent,’ to the 100 year-old Carson Cup cross country run and the Leavers’ boat race on the school lake. Extensive trips, which last year included trekking on the glaciers of Iceland, as well as a broad array of clubs and extensive facilities such as grass tennis courts and adventure playground, mean pupils have space to explore all of their interests and talents. Lead judge John Dunston said Cottesmore offered a “strong reflection of why boarding in general is a good thing” and highlighted how it “encouraged boarders to recognise how they need to contribute to the community and that the world doesn't just revolve around them”. Wilds Lodge is a unique specialist therapeutic boarding school for pupils with Social, Emotional and Mental Health (SEMHN) needs. The Creative Therapies Team sits its heart, using psychotherapy focused on art, dance and drama alongside traditional techniques to break down the taboo around mental health and help pupils and staff to think differently. Among the many forms this commitment takes is through “crisis first aid boxes” filled with tools to help students to express themselves in a more creative manner when they feel overwhelmed with emotion. The clay club helps students coping with exams stress to “make art and explore worries,” while the school’s speech therapist uses drama techniques to improve pupils’ communication and build their self-confidence. This creativity has also spilled over into public events, including an LGBT pride event celebrating diversity and workshops making clay poppies that were displayed in a community exhibition for Armistice Day in Oakham castle. Creativity is not limited to the students, however, and staff can also take part in the “Circle of Adults,” which uses art as a form of mapping, visualizing and talking to help them find the best ways to help a child progress. Despite tough competition, Bolton School was chosen as the Tes overall school of the year for 2019 with unanimous backing from the judges. One of the oldest schools in Lancashire, with a history that can be traced back to the early 16th century, Bolton has evolved to become a regional success story. Both its boys’ and girls’ divisions have notched up an array of awards over the past year, from the Year 9 pupil who won the Show Racism the Red Card School Competition to the U13s’ football team which made it into the national ISFA cup semi-final. In music, they have graced the Royal Festival Hall as finalists in a national choral competition, while one promising actor made appearances in Coronation Street and Care Share. But what made Bolton stand out was the important role it plays in its community. From hosting public lectures and theatre productions to acting as the Northern SCITT hub for MFL and Physics as part of the government’s teacher recruitment drive, the school has become a focal point for local activities. At a time when many regional schools have struggled to survive, the judges commended how Bolton has helped its community to thrive. Or, in the words of former pupil and Nobel Prize Winner Sir Harry Kroto: "There is no doubt this is a very special school with fantastic facilities and fantastic teachers who make all the difference. It's just a shame that every school in the country cannot be like Bolton School." For more than a decade, Lichfield Cathedral School’s Music Share Programme has brought the joy of singing to children through dozens of school partnerships. Since the programme joined the North-West Midlands Music Education Hub its reach has exploded, and Lichfield now works with pupils from some 50 state schools on various different projects each term. In 2017-18 MusicShare expanded its work further, delivering four workshops a day for three weeks at the cathedral to over 1,500 children. The programme also collaborated with the 12 schools that make up the Wednesbury Learning Cooperative Trust and formed the backbone of a production of Britten’s Noye’s Fludde, providing soloists and training chorus singers in two schools. Last year MusicShare produced two concerts with children with special educational needs (SEN) for the first time. Working with two boys in an emotional behavioural unit was deeply rewarding and had a profound impact on those involved. As one teacher at the unit put it, “without question [the boys] were walking taller on Thursday morning, and for pupils like ours that is potentially a life-changing feeling”. This year’s International School winner, Cranleigh Abu Dhabi, took the crown with their ambitious arts and cross-curricular project “Water in the Desert: A Zayed Legacy,” named for the centenary of the birth of the UAE’s founding father Sheikh Zayed bin Sultan Al Nahyan. Located 20 miles outside London, Woldingham School was struggling to attract pupils from the capital and to dispel its reputation as a traditional Catholic girls’ boarding house after opening up to day pupils. The school’s “Hidden Gem” marketing campaign has been transformational, almost doubling applications from London in two years and cementing its position as an alternative to the city’s highly selective day schools. The single-message campaign was cleverly targeted through social media, advertising and partnerships. The school used a catchment survey to refine its geographic targeting of junior schools through posters emphasising both Woldingham’s situation in an area of outstanding natural beauty and proximity to London. The campaign proved so effective the school quickly rolled it out across its local area and it has continued across both regions for 2018-19. Marketing strategists also turned to social media as a cost-effective way to reach “Facebook generation” parents, generating nearly 10,000 clicks to the website. A push for third-party endorsements, including from the London Wayfarers Hockey Club and London prep schools, also helped to attract 11+ applicants. The “Hidden Gem” campaign has been an extraordinary success. Since 2016 applications from London have increased by 94 per cent while local applications have remained buoyant, rising 27 per cent over the same period. Intake for the current year is the largest on record. St Faith’s won the highly competitive Pre-prep/Prep School of the Year category for its innovation, commitment to sustainability and “narrative of excellence in a number of key areas of school life”. The coeducational prep school is unique in placing Engineering at the core of the curriculum from age seven and offers training on how to teach the subject. Sport is a major part of school life – teams reached 20 national finals in 2017-18 – while all pupils learn at least one musical instrument. Every year group puts on at least one major drama production, and workshops with two special needs schools are a highlight of the school year. This approach has paid dividends: more than 90 per cent of leavers get into their secondary of choice and on average they win 28 scholarships a year. St Faith’s also collaborates with many other schools across multiple different areas. As a ‘lead school’ in the Network of Computing Excellence, it works with 25 schools in developing their IT infrastructure, while their bursar mentors 18 Cambridgeshire schools on low-cost energy saving programmes. The school supports the Cambridgeshire Chess League and its nursing staff hosted a conference about mental health issues facing school-aged children, a first for the county. Working in an autism specialist like Holmewood School, where all pupils are on the spectrum and more than half have mental health needs, can often be challenging. But the senior leadership team’s commitment to putting student and staff welfare first was what set it apart for judges at the Tes Independent Schools Awards 2019. This focus begins from the moment new recruits arrive, when they embark on a year-long induction programme with dedicated mentors. Staff receive in-house support, including weekly reflective supervision and one-to-one short- and long-term psychodynamic therapy, to help ensure their continued wellbeing. Senior leadership provide opportunities for self-advancement, including training for support staff to become teachers and a continued professional development system which gives staff more autonomy over their own progress. The school also offers reflexology and yoga, as well as at least two INSET days dedicated to staff wellbeing each year featuring activities such as team games and ‘forest school’ education. The senior leadership team’s holistic and open-minded approach shapes the school: as Ofsted noted at a 2018 inspection, “staff share leaders’ vision to ‘think differently’ about pupils on the autistic spectrum”. Bolton School was chosen as Tes’ 2019 Senior School of the Year not just for its outstanding achievements, but for its broad outreach activities and deep community relationships. Last academic year pupils collected a vast array of awards, with pupils from the girls’ division winning the Show Racism the Red Card School Competition, the Namedropping Poetry Challenge and RSC Greater Manchester Chemquiz. Both the boys’ and girls’ divisions notched up sporting victories, with girls representing Britain in tennis, lacrosse and roller skating, and the boys’ water polo team scooping an unprecedented 13th national title. Both divisions also performed at the Montreaux Jazz Festival and the final of the National Choral Competition, as well as local events, while the boys staged several performances of their original play, My Room, My Bolton. Bolton’s outreach activities included public lectures from the likes of Simon Armitage, the RC Christmas Lecture and the Royal Statistical Society, alongside travelling theatre productions and a re-enactment of the English Civil War. Events for local schoolchildren such as the Football Festival and Bolton Children’s Fiction Award, attended by 700 pupils, as well as 10,000 hours of volunteering by Sixth Formers, further cemented the school’s place in its community. Autism specialist Holmewood School won plaudits from the judges for its creative and practical cooking initiative, “The Holmewood School Occupational Therapy Café”. Started last academic year, the project has been a resounding success for staff, students and parents, one of whom described how working in the team has “brought out the best” in her son. In 2017-18 the team catered for three major events: a Christmas fair, an Easter Café and a Food Festival for parents, friends and guests. Café members have not only improved their motor skills through cooking but also boosted their confidence navigating social situations such as dealing with customers. Some students have enjoyed the project so much they now want to pursue in a career in the culinary field. For 40 years John Weitzel has dedicated his life to Loughbrough Grammar School in an extraordinary variety of roles, including as a teacher, deputy head, master and archivist. Renowned throughout the school he dearly loves, he has shaped the lives of thousands of young people and contributed hugely to Loughbrough’s history. Many alumni recall how Weitzel inspired them as a maths teacher after he joined in 1978, not only by making the subject exciting to learn but inspiring them personally. One of his most admired qualities is his ability to remember nearly every one of Loughbrough’s ‘Old Boys’ – including their academic aptitude, interests and parents! Weitzel’s love of his school was evident during the six years he dedicated to chairing the Quincentenary Committee celebrating Loughbrough’s 500th anniversary in 1995. In that role he not only raised £700,000 for a new English and Drama block, but spent weeks preparing for a visit by the Queen to open the building. Today the school’s Development Office and alumni association still rely on his passion and knowledge, and a dinner to honour his ‘retirement’ drew 174 people. Surbiton High School impressed the judges with the scope and depth of its “Sporting Choice for All” programme. The scheme aims to “inspire, encourage and empower” students of all abilities through sports, while encouraging them to hone their expertise and skills in pursuit of excellence. Its reach has been extensive: the school runs 80 different clubs that offer weekly activities outside the curriculum, reaching some 3,500 pupils from pre-prep to sixth form. Health and fitness is embedded in the curriculum from the start. Both the girls’ and boys’ pre-preps incorporate games and fitness activities into the school week intended to fill children with “passion for a variety of sports throughout their lives”. In the all-girls senior school, students choose different sporting “pathways” focused on their area of expertise and interest, which can be blended together to create a programme tailored to their needs. This approach has produced many county, regional and national representatives but, according to Surbiton, “it is the breadth, depth and volume of pupils committed to sport of which we are most proud”. Surbiton’s approach to teaching is underpinned by its Charter for Wellbeing, a whole-school initiative aimed to help students flourish. Its impact has been particularly evident in sports, where pupils learn vital life skills such as determination, leadership and confidence. Lead judge Richard Walden said Surbiton’s holistic perspective, strong participation levels and thorough approach had set it apart from the 33 other entries in the category. “Their whole school ethos of sporting commitment, enthusiasm, choice and achievement impressed the judges,” he said. Sandroyd School’s “Strive” programme won this year’s Strategic Initiative prize because of its breadth and creativity. The primary, which teaches children aged 7 to 13, launched the scheme in September 2017 in a bid to stretch pupils beyond the traditional curriculum, open their minds to new ways of thinking and build their confidence and resilience in preparation for senior school. Strive was embedded in the school week through four 40 minute sessions focussed on six key themes: enlighten, explore, enquire, innovate, adapt and reflect. The wide variety of activities were designed to be both fun and educational, from learning sign language or navigating in nature to public speaking and current affairs. Fifty activities were timetabled in the first year, which changed every half term, each delivered by subject specialists and staff. Every session ends with a period of reflection so pupils can consider what they have learnt and how it relates to their daily lives. Pupil feedback has been incredibly positive and all staff agree they have noticed improvements in their students’ confidence, problem-solving, creativity, communication and independent learning since the initiative began. Lead judge Julie Robinson said the “exciting” programme helped the children to develop life skills, as well as enhancing pupil-staff relationships. “The sessions encourage independence and self-directed learning and pupils are encouraged to link what they learn to everyday life,” she added. Reigate Grammar School launched its “A Well School Initiative” in 2016 in response to the barrage of research revealing the spiralling mental health problems among young people today. The bespoke 18-month programme put wellbeing at the heart of school life and gave students a “tool kit” to help them take on the challenges and opportunities of the modern world. Reigate took a whole-school approach to wellbeing aimed at both staff and students. This included relaunching its pastoral care provision, increasing hours for pastoral staff and building a new quiet space for students. The school also changed its curriculum and how it handles exams to help children achieve a more balanced lifestyle – changes which boosted both GCSE and A-Level results. Wellbeing committees have helped to embed the importance of mental health among students and there are even plans to launch a Wellbeing Magazine. Among staff, new dance, fitness and social events have also helped improve retention, which is at its strongest in a decade. The results have been resounding: one parent said they had “never seen such positivity from any other school”. Norwich School’s Outreach programme has been both broad and deep. Since 2017-18, Norwich has worked with over 200 local schools, charities, businesses and organisations on 190 schemes. Pupil-led charity drives have raised over £10,00 and the school has even received a personal letter of thanks from Sir David Attenborough. Community work is a particular a priority and students have spent over 5,700 hours volunteering with 42 local organisations. Much of the school’s outreach has centred on senior citizens. Working with social enterprise Friend in Deed, Norfolk has organised music recitals in local care homes and a poetry competition which culminated in writing a joint poem about friendship. In June, the school held an awareness day for the Alzheimer’s Society, which included an assembly, workshops, visits from residents of several care homes and a trip to see a concert at Norwich Cathedral. The following month Norwich even held an intergenerational sports day, in which people aged 0-90 were encouraged to work together to bridge the gap between young and old. "I thought this application was of very high quality,” said lead judge Sir David Carter. “It felt like a project that had been well planned and was having a significant impact and, importantly, was capable of being sustained into the future.  All of the delivery plans in their work were done from the perspective of making a difference and this was why I felt so strongly this was a great application."